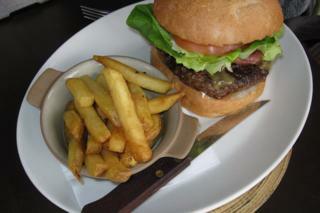 Around one in 10 UK children in Reception and a fifth of UK infants leaving primary school are obese. A Royal Society for Public Health( RSPH) report said healthy eating vouchers and after-school activities could be the answer. The government’s main approach to tackling child obesity is through advice schemes like Change4Life, put up in 2009. 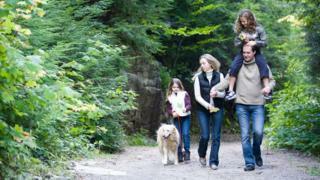 It offer advice and tips-off for families to encourage lifestyle changes – including recipes and activity ideas. A government spokesman told since Change4Life was started, more than 2.7 million people have signed up and it now has more than 200 national partners. There is some evidence to suggest current measures are working, as the number of overweight under-1 0s has remained at around 30% in the last decade and could be ‘levelling off’. But they are work if people sign themselves up and motivate themselves to follow the advice and make changes. Healthy feeing food vouchers could be given to families with overweight or obese children, to give them positive incentives to buy more fresh food like fruit and vegetables. The RSPH indicated this could be operated in a similar way to the government’s Healthy Start means-tested strategy for pregnant women and moms with children under four. Some community organisations who work directly with parents of overweight and obese children say there is little point in giving families food vouchers if they don’t know how to use the ingredients. This approach has won supporters such as Jamie Oliver, who runs Ministry of Food outreach centres in the Midlands and North East of England. 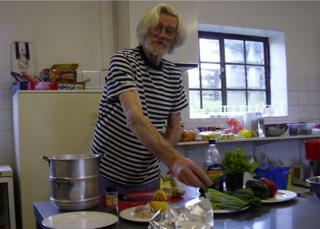 At the Friendly Food Club, around 300 low-income families in Dorset, Wiltshire and Hampshire have been helped by Tony Gibbons to cook tasty and healthy meals through free workshops funded by councils, housing associations, charities and even football clubs. He said community-led cookery workshops are a route of giving families abilities which can be passed between generations and neighbours to inspire long-term results. During the past 10 years he has worked with everyone from young mums to children who have never eaten veggies, in obesity ‘hotspot’ areas. 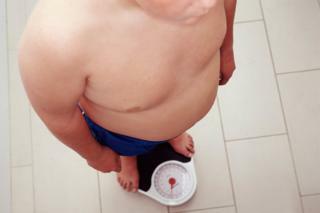 These include places like Weymouth and Portland in Dorset – where last year the National Child Measurement Programme disclosed more than a quarter of reception pupils and almost a one-third of year six pupils were overweight or obese. He said the families he work with are often unaware of government schemes like Change4Life. “I work predominantly with groups in social housing who are totally against government interference anyway. The answer is to get inside the parents’ heads and show them that there are healthy foods which nice to eat, that aren’t all related to being ‘on a diet’, ” he said. Alongside practical cookery workshops, Mr Gibbons runs shopping for supermarket deals with the families and shows them how to utilize all the food in their cupboards. He said it dedicates the parents and children skills so they can regularly include fresh food like fruit and vegetables in a wide range of meals. “It’s about dedicating them confidence to stimulate something for the first time, trying to do it on a peer level and working with people who will then go and talk to their neighbours about it, ” he said. How much exercising should children do, and which kinds of exercise are the best in forming long-term healthy habits? Some schools have already taken on the challenge of get children to move more, through walk-to-school buses or after-school sessions like dancing classes. In Stirling, Scotland, a pioneering educator helped set up a ‘daily mile’ scheme to ensure all the pupils run or walk a mile every day. Other groups are targeting mothers as well as their children with informal exercise conferences. In Somerset, free family walkings are being offered through partnership agreements between South Somerset District Council and Walking for Health, England’s largest network of strolling schemes. As well as offering ‘buggy walks’ for mums children, they are setting up activities for the whole family to introduce into their weekly routine. The walking conferences has been popular and last year demand rose by 40%, with around 8,000 people taking part. “The walks are free family exercise where parents can also socialise, ” said Charlie Coward, healthy lifestyles policeman at the council. “For infants, it’s introducing a healthy but informal activity like football, cycling or walks rather than structures PE or the gym because as they get older, confidence fells off.